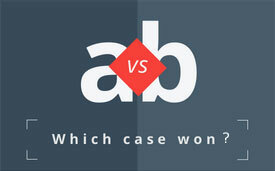 Home › Which case won? › Developer tries to terminate off-the-plan sale to cash in on soaring property prices – which case won? What is a “sunset clause” in a property sale contract? Common in the contract for most off-the-plan real estate sales is what’s known as a “sunset clause”; a clause that allows either side to terminate the contract if certain conditions have not been met by a specified “sunset date”. In recent years, there had been a growing trend whereby unscrupulous developers had deliberately delayed the completion of a project, invoked the sunset clause to terminate a contract signed months or even years earlier at a lower sale price, quickly completed the project and then relisted the property to take advantage of increased market values. Following complaints from disgruntled buyers of off-the-plan lots, in November 2015 the NSW government introduced new laws that required developers to give buyers 28 days’ notice of their intention to terminate a contract under a sunset clause and their reasons why. If a buyer wasn’t satisfied, the developer would have to apply to the Supreme Court for an order to terminate. And so it was in January 2016 that the developer of a residential project in Hurstville, NSW, brought an application before the court to terminate a number of property contracts that had been made with off-the-plan buyers two years earlier. The contracts with these buyers had included a sunset clause permitting the developer to terminate if, despite its reasonable endeavours, it had not been able to register the strata plan for the property by 31 December 2015. No strata plan had been registered by this sunset date. It's not our fault that not enough progress was made on the development by the sunset date. We took over the development from another developer in 2014 and they failed to advance it. The costs of construction have increased significantly since the contracts were signed. We can’t secure additional construction finance unless the old contracts are terminated. The price of units has also increased and we’ve offered the buyers the opportunity to continue with the purchase at a higher price. The new law was introduced after we took over the development and we couldn't have foreseen this legislative change. When the developer took on the development, it assumed all the obligations that the previous developer owed to people that had already bought off-the-plan. It also took over the development knowing that the previous developer had done little construction work on the site. The developer has extended the sunset dates for some contracts but not for others. Construction work is currently underway on the site, so there must already be some construction finance in place. New laws to protect off-the-plan buyers were foreseeable. In deciding to dismiss the developer’s application to terminate the contracts, the court took several factors into account. One was that while the developer claimed that construction costs and property prices had both increased significantly since the contracts were entered into, it did not present any substantive evidence to support these claims. The court was unmoved by the developer’s argument that the new law introduced by section 66ZL of the Conveyancing Act was not in force at the time the contracts were signed and that the developer could not have foreseen its introduction. The judge was not convinced that the introduction of new laws to protect buyers of off-the-plan units was unforeseeable – presumably because the possibility of introducing such laws had been publicly debated for some time – and noted that in any case, legislative change generally is a foreseeable risk of business activity. It did not help the developer’s case that it had extended the sunset date on some buyers’ contracts but not others. The judge described this process as “selective and unexplained”, leading to the conclusion that the developer’s application to terminate the contracts should be dismissed. To read more about the case, visit Jobema Developments Pty Limited v Zhu & Ors.